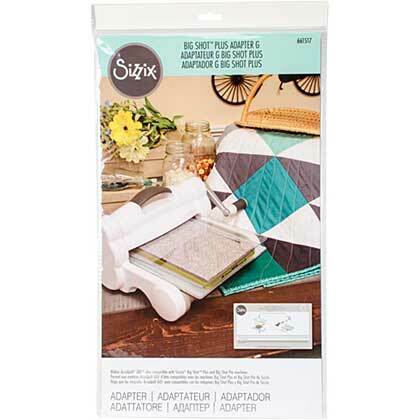 Sizzix-Big Shot Plus Thinner Steel Rule Die Adapter G.
Makes AccuQuilt Go! dies compatible with the Big Shot Plus and Big Shot Pro machines (sold separately). Diagrams offer easy guidelines about how to make the perfect Sizzix sandwich. This package contains one 1/8 x 15 x 8 3/4 inch adapter.